There are some red flags to look out for to help steer of banking scams that land in your inbox. Long gone are the days where you have to line up at the bank or make a phone call just to check your bank account balance or make a payment. Increasingly, bank customers are handling their finances with the click of a mouse, or the swipe of a smartphone screen. When it comes to online banking, using our mobile phones to access our information has quickly become the most popular route. 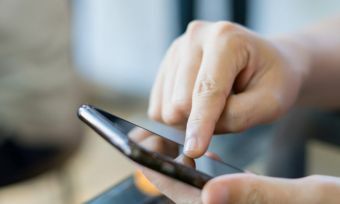 A recent report by fintech analysts, Jupiter Research, found that mobile logins (all 1.2 billion of them) now exceeds internet logins and by 2021, mobile logins are predicted to rise to more than 2 billion. Here in New Zealand, Kiwi banking customers are also avid users of internet banking. In February 2018, Canstar Blue NZ asked 2,338 Kiwis about online banking experiences. Around 80% of people agreed that their bank’s online system was user-friendly and saved them a lot of time by letting them initiate transactions at a time which suited them. The most common activities were checking balances, transferring funds between accounts or paying a bill or someone else. Online banking is carrying out your financial tasks on a device with internet capability, be that on a smartphone, desktop computer or laptop. It’s also known as internet banking, e-banking, or virtual banking. Online banking allows customers to conduct a range of financial transactions through the financial provider’s website. For some, the extent of their internet banking use may be checking how much they really spent after a night on the town. For others, online banking is a way to carry out the majority of your financial tasks and to keep track of all your finances, from your Kiwisaver balance to your savings account. CANSTAR has compared online banking platforms, to help you find a system with all the features you need for out-of-branch banking. The features of online banking vary according to the financial provider. If online banking is a major part of how you handle your finances, it’s a good idea to compare different online banking platforms, so you can check your financial institution provides all the features you need. In 2018, Canstar compared 10 institutions’ online banking platforms, which included assessing the various tools they have on offer. These are pretty standard features of online banking. Via online banking platforms you can check your balances across your various accounts and can also transfer funds – both between your accounts and to other people/businesses. Some online banking platforms will let you activate a new card. They will still ask you to set up a new pin and a security code, but it saves you a trip into the bank. Many financial institutions provide mortgage repayment calculators to help you figure out the size of your home loan repayments on a particular property. The ability to schedule future payments, commonly referred to as automatic payments (AP) was available across all 10 financial providers that Canstar rated for online banking. An AP can be used to schedule ongoing payments, such as rent, or for the short-term, such as paying the parents back for a loan. The account holder has control over the automatic payment and can change it at any time. If there isn’t enough money in the account, however, it won’t be paid. You also risk a penalty fee if there is not enough money in the account to make the payment. Smartphones are effectively our digital companions these days; a mini computer that you can take everywhere in your pocket or your handbag. So it makes sense that banks would provide apps for your smartphones which quickly take you to essential features of their online banking platform. The apps do much the same job as the bank’s mobile internet site, but many people find the applications quicker and easier. 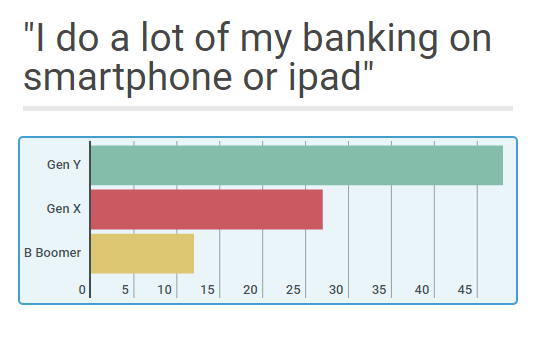 In our Canstar Blue customer research (February 2018) 41% of the people we spoke to said they banked through their mobile banking app and had no need to use a laptop. Online savings calculators help people make savings goals, both short term and long term, by showing you how your money can grow over time. For example, you can use savings calculators to work out how much you will need to put aside for holidays. Term Deposit calculators can help you work out how your investments can grow. 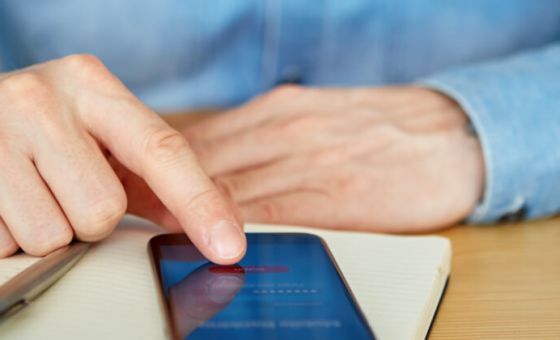 Mobile banking is creating a new way to get your personal finances in shape, with apps out there that help you draw up a budget, track your expenses, and work towards savings goals. In a Canstar Blue survey, 40% of respondents said they stick to a budget, but 1 in 4 said thinking about money makes them uncomfortable, and 27% live pay day to pay day. Only 5% of respondents have sought out budgeting advice from a financial advisor, so a well-designed app could really help the 95% who aren’t getting advice on how to manage their money. CANSTAR also has a budgeting guide to help you make your money go the distance. Online-only savings accounts are one way to save on transaction fees, as long as you can transfer money to your transaction account as needed. With the ease and availability of online and mobile banking, many online banking platforms have now removed the need for you to visit a branch at all. Online banking is quite simply easier! And our financial institutions work to keep it that way; by continually improving their websites and internet banking services, ironing out glitches and adding handy features to make sure the experience is what we expect – fast, accurate and convenient every time. According to a recent Canstar Blue survey, 30 percent of us do a lot of oury banking on the go via smart phone/tablet or iPad. Unsurprisingly, Gen Ys have embraced the concept, with 48% reporting a very high rate of banking online. Who offers online banking in New Zealand? CANSTAR has researched and rated 10 financial institutions for their online banking platforms. In CANSTAR’s 2016 ratings report on online banking platforms, Westpac won the Bank of the Year – Online Banking. CANSTAR assesses over 300 different features for the online capability of New Zealand institutions. The main areas we consider include the ability to easily make transactions using both desktop and mobile banking, the internet banking platform itself, and the features available on the institution’s website. We also consider innovation, and the institution’s ability to shape or improve the online banking landscape. Westpac has a unique online banking platform called Westpac One that allows customers to do their banking across any device. Cash at call: what return can you expect? Online banking innovation: what are our banks doing? 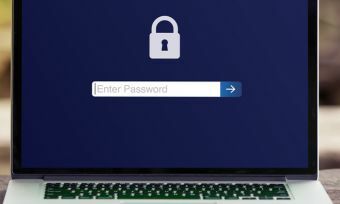 Online banking security: how secure is your internet banking?